Getting all of your ducks in a row when it comes to moving isn’t always easy, no matter what time of year you move into a new home. This is even true in the spring. That’s why so many people turn to a professional team of Rockford residential movers. Although the milder weather and additional time off of school for the kids can make moving easier than trying to pack up your stuff in the winter, there are still some things you should be aware of. Here are a few spring moving tips that will make your move easier. Moving in the spring provides you with more chances to move during mild weather, but it isn’t a given, especially in Northern Illinois. You could get lucky and move on a warm sunny day. You could also be unlucky and end up moving in freezing rain or snow. Dress in layers. In the morning, you may realize you need a coat, but by the afternoon, you don’t. Set aside gloves, hats, and scarves just in case you need them. It’s also a good idea to wear a pair of old sneakers or boots that are comfortable, that you don’t mind getting dirty. Even if you get lucky, and the weather is nice, that doesn’t mean you’re in the clear quite yet. If you or another member of your family has allergies, you’ll want to keep an eye on the pollen count. Pollen can be quite high in the spring, but it’s highest in the morning. If pollen is forecasted to be high, consider moving in the afternoon and evening instead. Pollen can make your life miserable while you’re moving, but it can make life miserable after you’ve moved into your new home if you haven’t sealed your boxes tightly. It’s also a good idea to make sure your boxes are sealed tightly just in case the weather is bad. If it’s raining, or if someone leaves a few boxes in the muddy yard, you’ll be glad that everything was taped shut. Don’t let your spring move get you down! 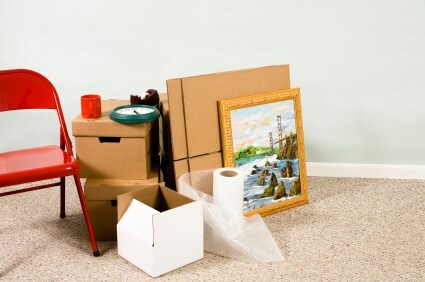 Make sure you’re prepared by hiring a Rockford residential moving company. Here at O'Mara Moving, we have over a century of experience, providing you with the peace of mind you need to feel confident that your move will go according to plan. Just fill out our online form for a free estimate to get started!